If you’re looking for a creative outlet to relieve stress, try painting. 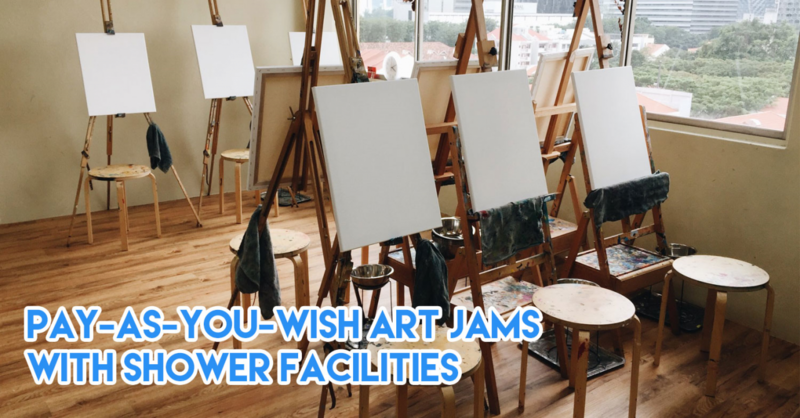 You don’t necessarily have to stock up on your own art supplies - just do it the hassle-free way by going for an art jamming session. 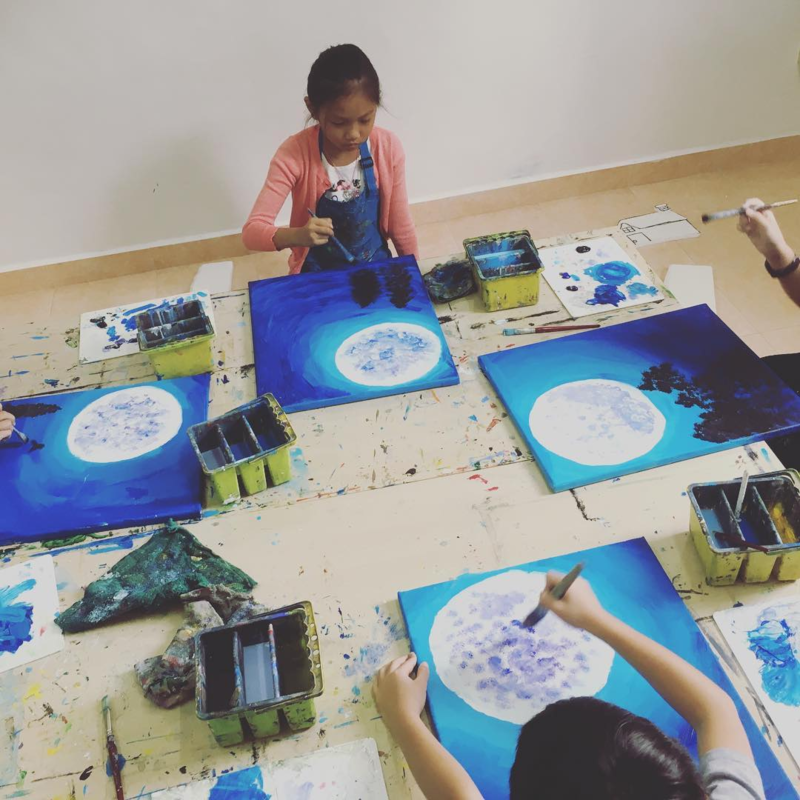 These art jamming studios in Singapore offer sessions with materials fully provided, and you won’t even have to do the setup or cleanup yourself. Some of these places even throw in a free drink! 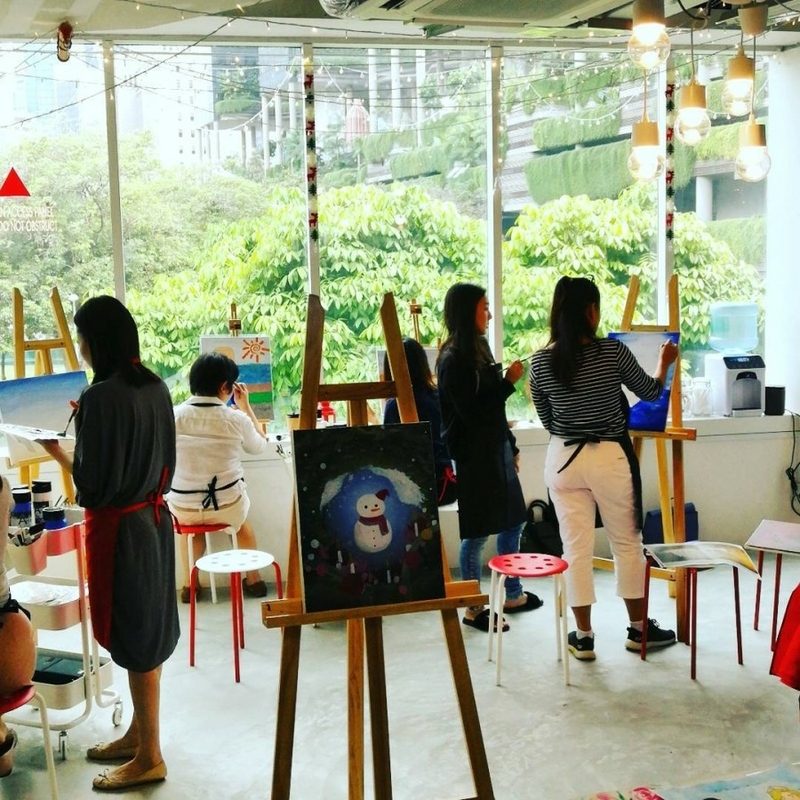 Opened in November 2018, The Noteway Art Studio is the newest entry on the list, being the only art jamming location that lets you to paint on t-shirts and tote bags instead of canvases. The Noteway Art Studio provides high quality ink used in the printing of t-shirts, and if you're a stickler for exact colours, you can call in a week in advance to request specific colours according to their pantone codes. 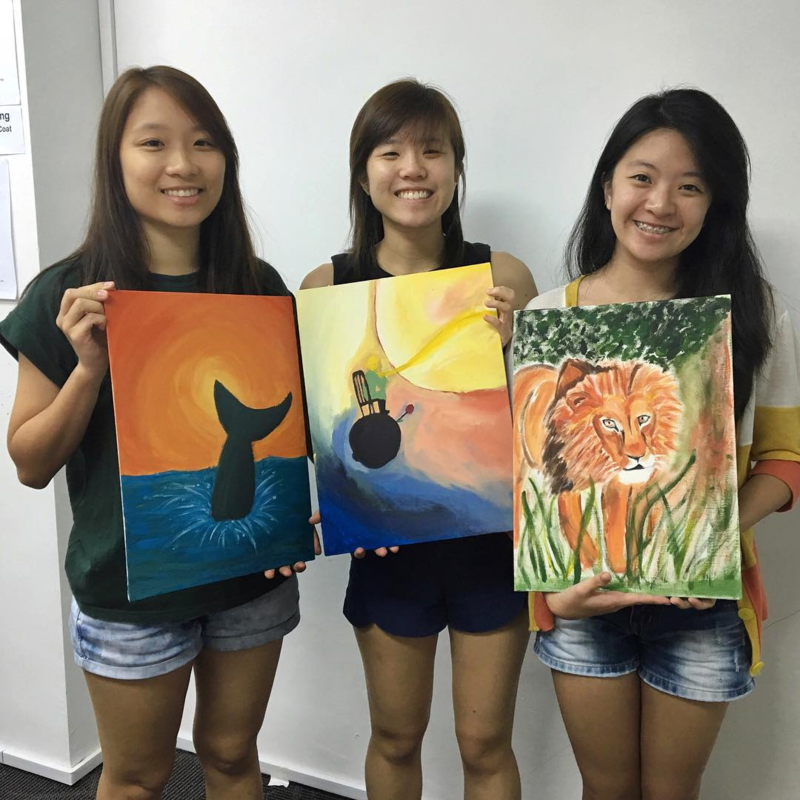 On top of art jamming, they also offer other team bonding activities such as terrarium and sand art workshops. You can read about our firsthand experience at The Noteway Art Studio here. 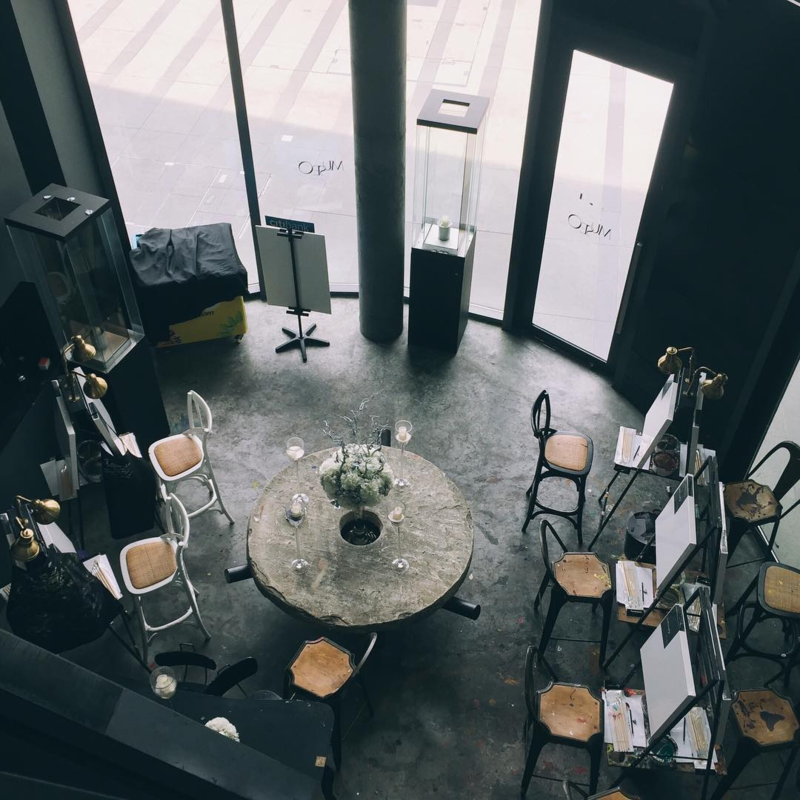 At Boulevart, art jams are priced at $35 per session for 2 hours, with free reign over supplies and tools. 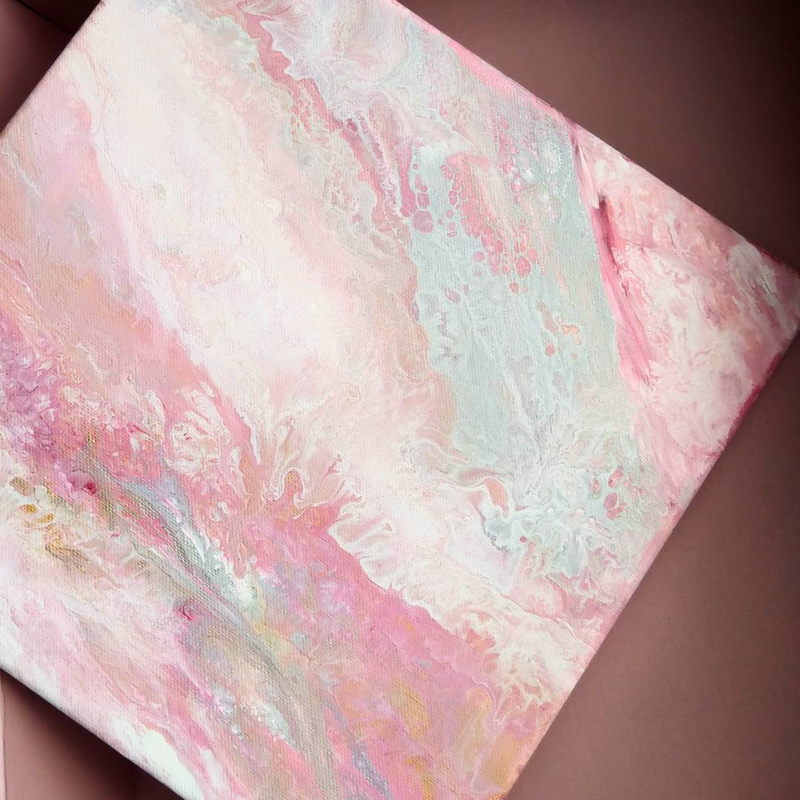 You can also level up your art skills with their range of workshops, where you could learn how to paint using different mediums, from watercolour to metallics and even fluid art - where you add a couple of pre-mixed colours into your cup, and pour them onto your canvas. No two pieces will be the same! 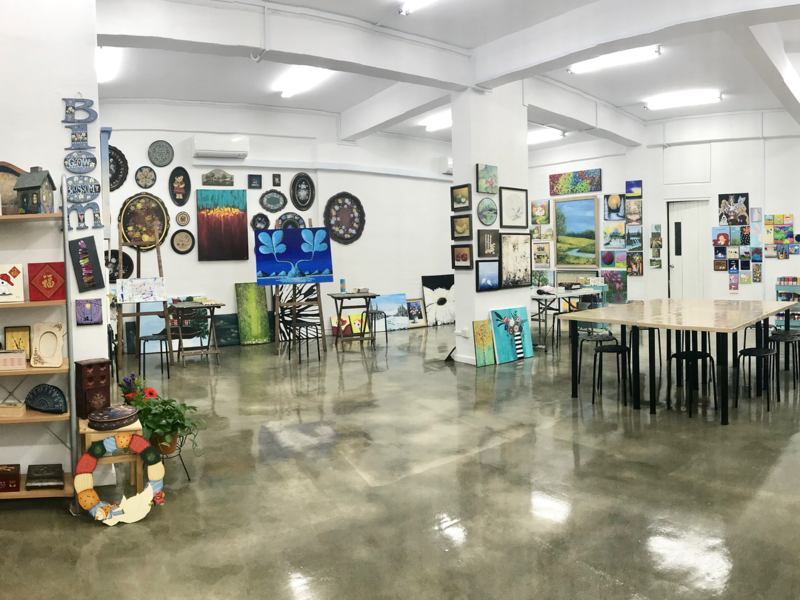 With art pieces decorating the plain white walls in the studio, Heartroom Gallery is as much an art gallery as it is a painting space and classroom. You can bring your own food too, so you can fuel your mind while painting. 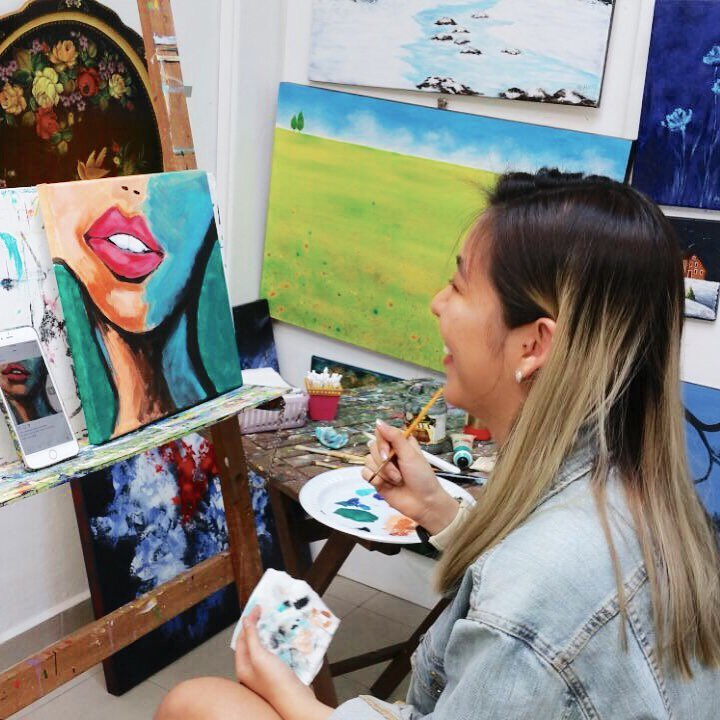 These 2.5 hour art jams are $38 per session, but they’ve got guided art classes too - from manga drawing to even chinese brush painting. Art Jam Studio has both Open ($30) and Guided ($50) 2 hour art jamming sessions - depending on whether you’d like free reign over your canvas, or some help when it comes to the basic techniques of painting. If you see yourself heading there frequently,consider signing up for their membership programme, with perks like 2 free sessions, discounts off all your other sessions, and priority booking. 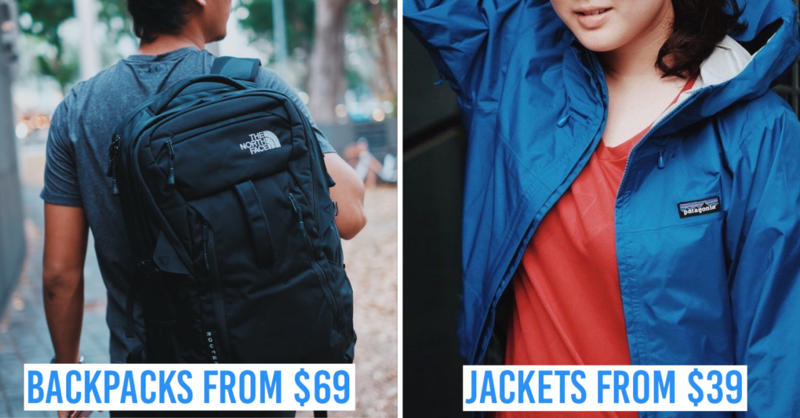 Check out the full list of perks here. 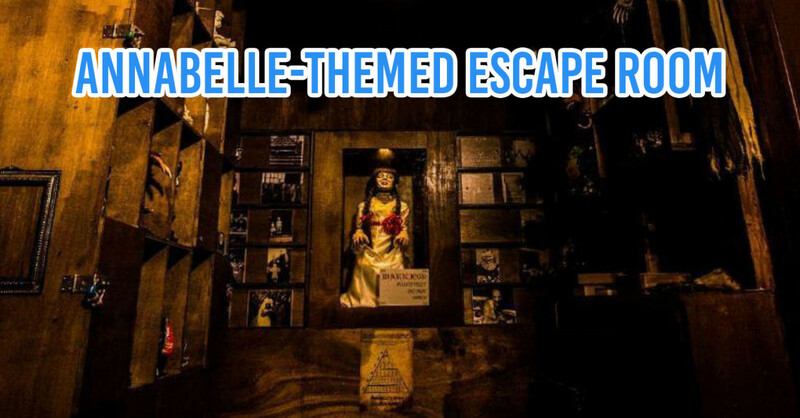 Located at Sentosa Cove, Museo is a fine-dining restaurant and social painting studio, complete with a cosy bar area. 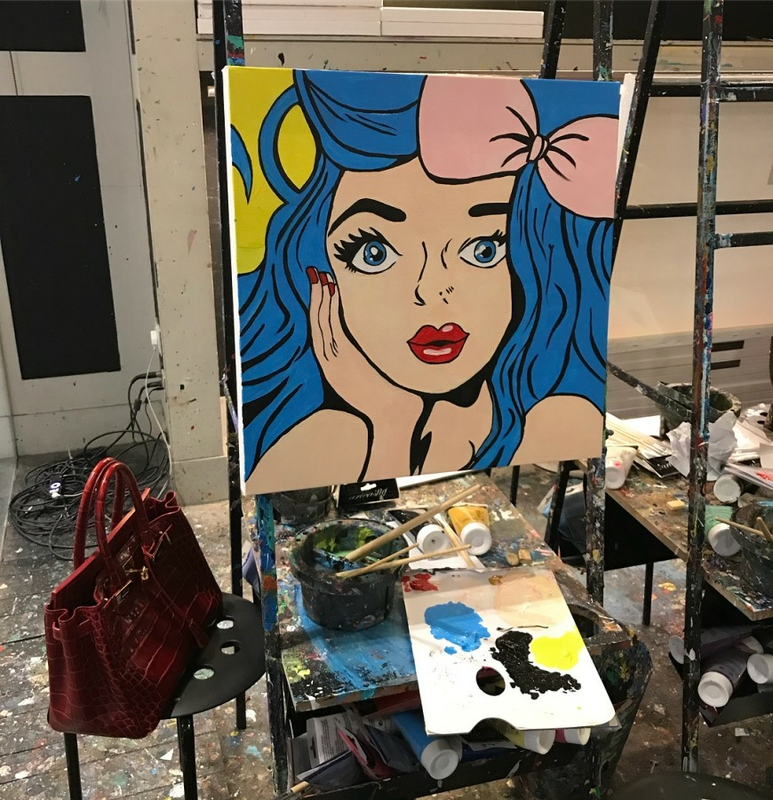 At $38 per session, hop onto a bar stool and express yourself on canvas with unlimited acrylic paint, and enjoy a drink on the house. 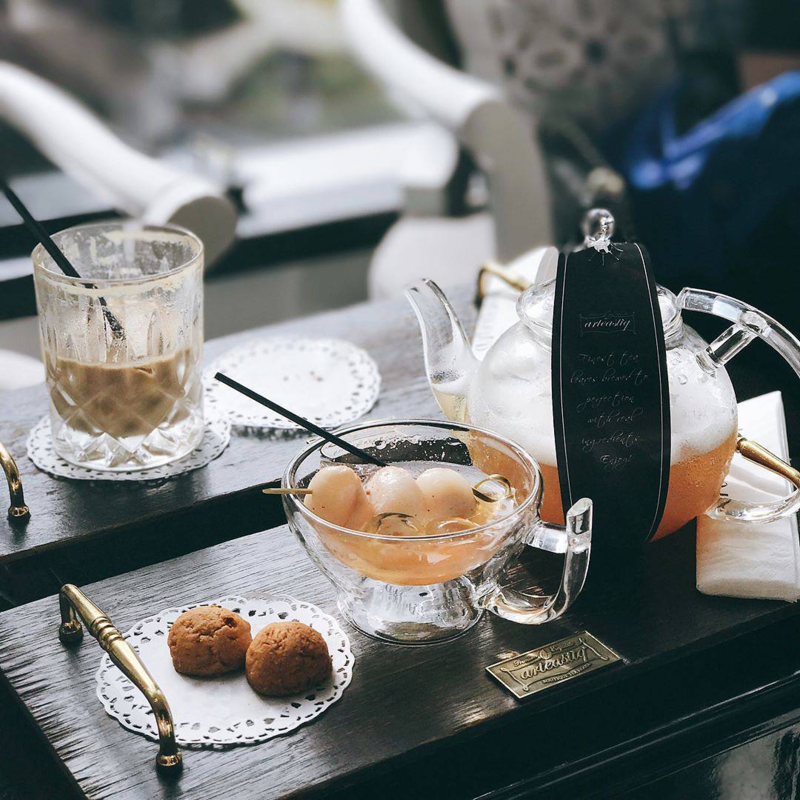 They’re under the same management as Arteastiq, so you can expect the same artisan teas and the like. 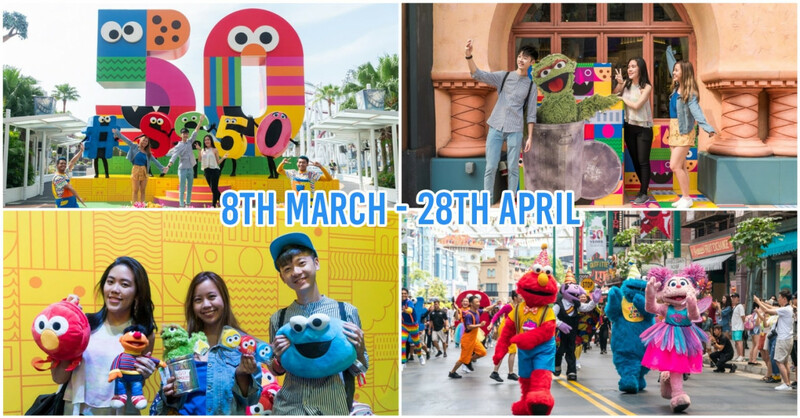 If you happen to pop by here for their food served in cups, you might want to spend above $40 on your bill - so that you’ll be able to get an art jam session at the discounted price of just $20. 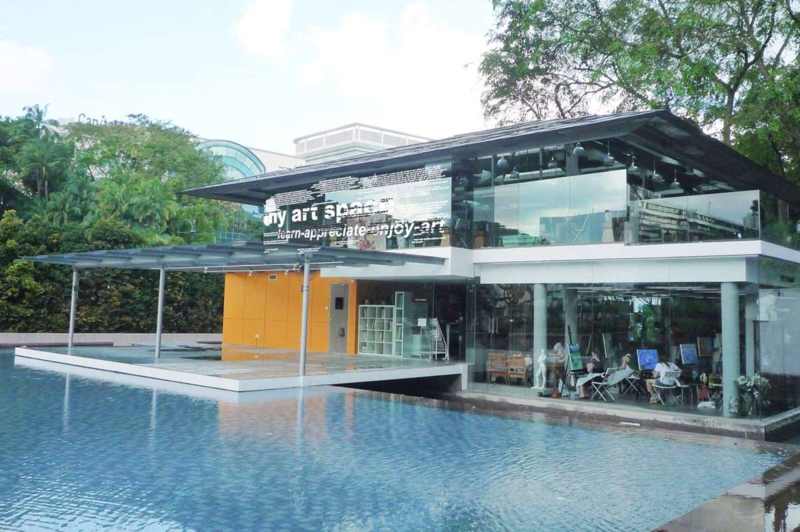 Overlooking a pool, My Art Space provides a spacious environment for deep thought and inspiration, right in the heart of Orchard Road. You’ve 2.5 hours to create a masterpiece with the provided materials - all for $55. Also thrown in are a wet paint carrier and fruit juice. Be one of the first 3 walk-in customers of the day and enjoy your session for just $42. 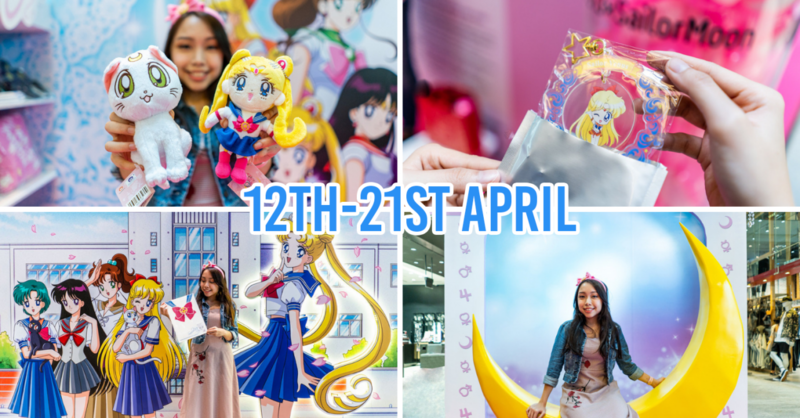 Parents can also bring their little ones for a weekend of family bonding fun - it’s $37 for those aged 12 and below. 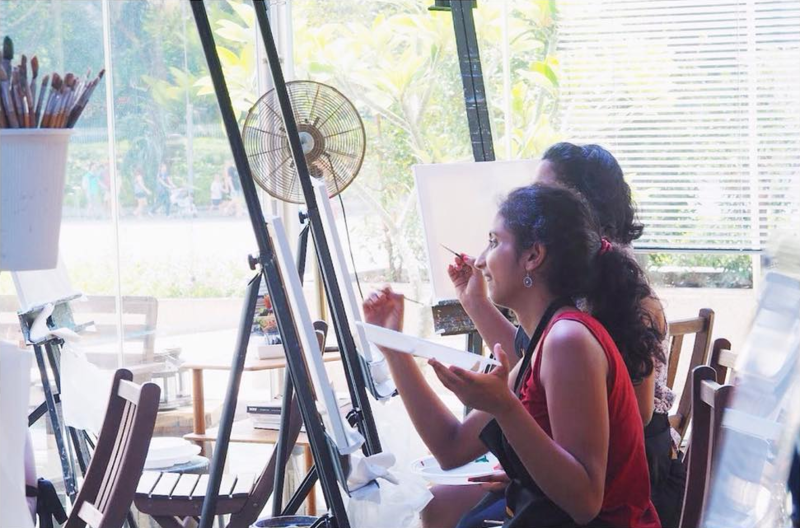 At Utter Studio, paint to your heart’s content with an unlimited paint supply, accompanied with light refreshments. They have picture samples available if you can’t decide on what to draw, but feel free to bring your own reference pictures if you wish. 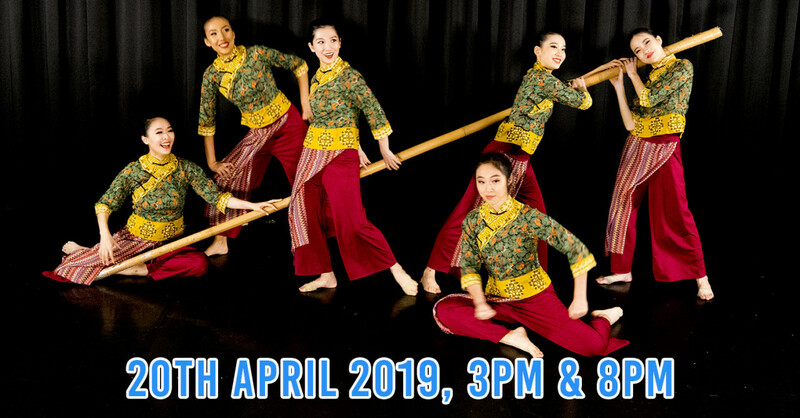 They currently only accept group bookings (for at least 4 people) at $35 per person, so gather your friends for some therapeutic bonding. You can choose to upsize your canvas and get an additional hour of painting for $10. The friendly staff with be there if you need any help, and you can ask them to teach you painting techniques too! 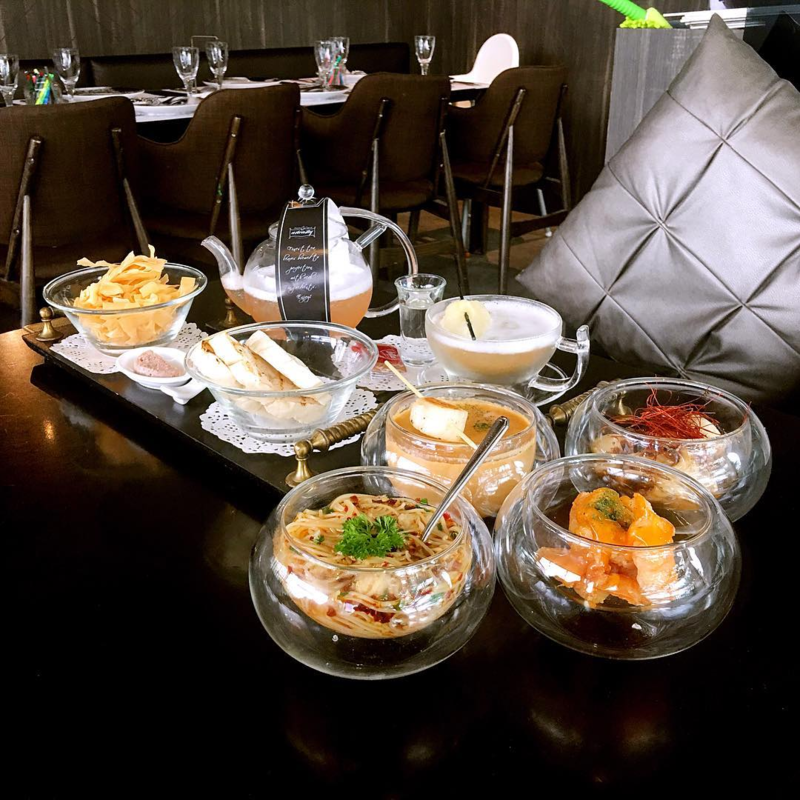 Arteastiq is as known for their art jamming sessions as they are known for tea. 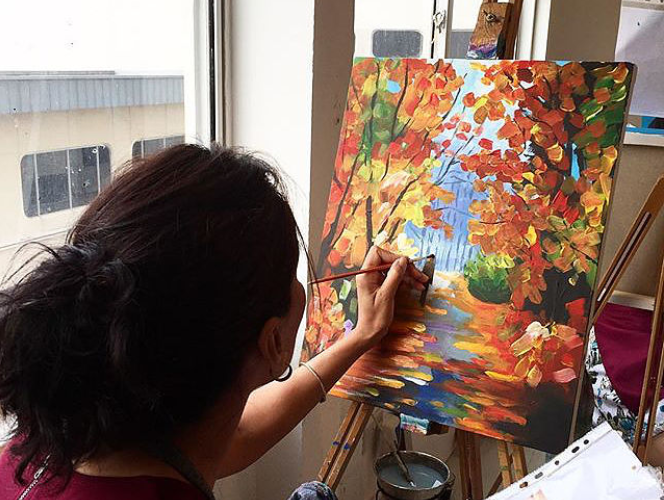 Their 3-hour art jam sessions ($48) include a canvas, an unlimited supply of art materials, and a free drink. Take your pick from tea, coffee, hot chocolate, and alcoholic beverages. 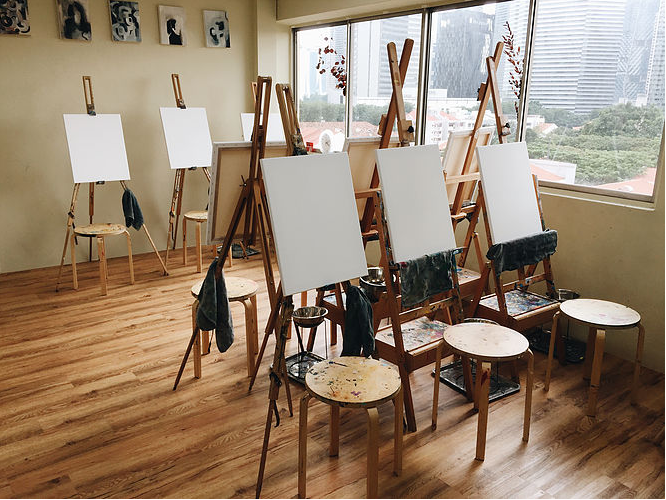 While sessions here are relatively pricier than at other studios, they have daily promos - for example, 1-for-1 art jamming with your significant other on Mondays ($24/person), and discounted prices for ladies on Wednesdays, just to name a few. If your mind is as blank as the canvas you’ve got when deciding on what to draw, check out their book corner - filled with art books and folders full of pictures for you to get inspiration from. 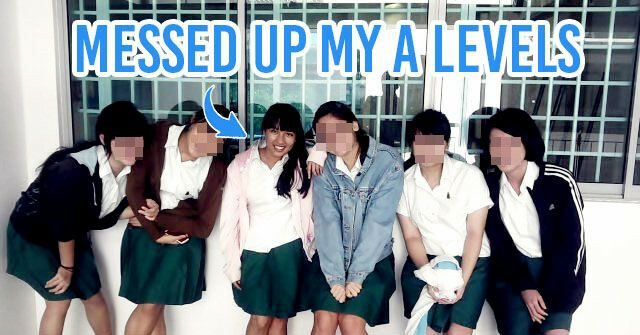 If you’re interested in joining a class, they also have lessons for $60. 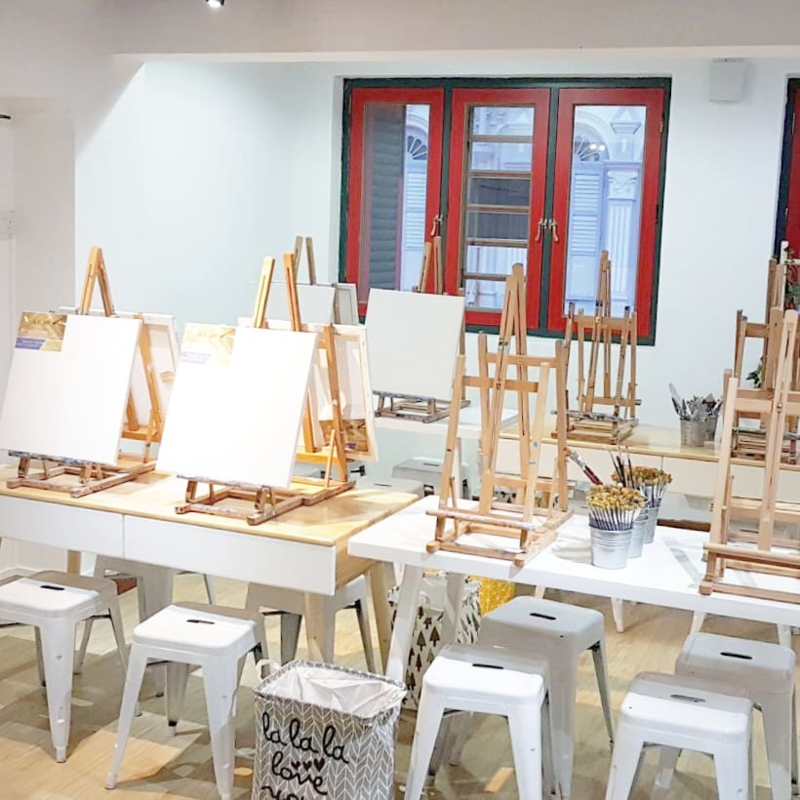 An indie studio snugly hidden in Jalan Sultan, Artify Studio has Liberty Art Jams that run for 2.5 hours per session, with all materials provided. What’s special about this place is that art jams go by a “pay as you wish” Honour System - where you can choose how much to fork out. 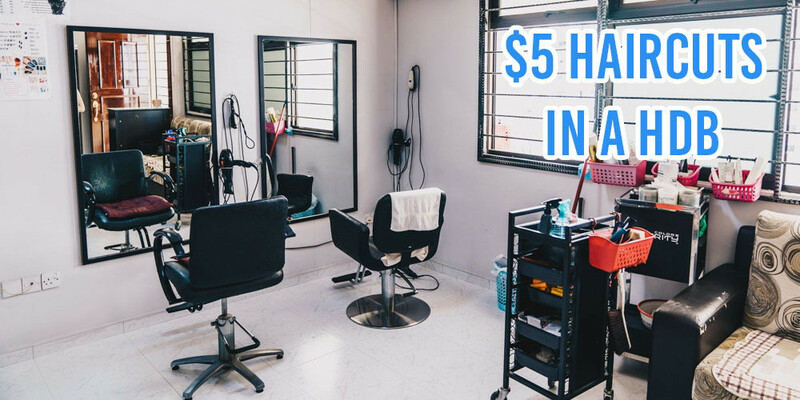 While the recommended fee is $35 to cover each session, it’s the amount paid is left up to you. Riding on the belief that “Art is not a luxury, art is for everyone”, 10% of their Art Jam funds go to their social initiative of the month. Previously, they’ve helped out with the elderly, kids and educational camps. Don't worry about getting dirty while painting either, they’ve got toilets with shower facilities just in case you get a little too carried away. *Only lifts 7 & 8 will lead you to the hidden studio, press button "8/9"
Apart from the large canvases and standard art materials, LionHeart Studio has free flow hot drinks (coffee or tea), aromatherapy oils to get you in the mood and even pastries for you to munch on as you paint. 2-hour sessions cost $45, but you can also book a LionGroup ($175 for 5 sessions) or LionKings ($300 for 10 sessions) package so you save while scoring more art jam sessions. With art school graduates as part of their pride, LionHeart Studio also offers portfolio preparation services, and classes for graphic design and digital art - perfect for aspiring artists. The best thing about art jamming is that you don’t have to be an art student or someone who is actually good at painting. The whole point of the activity is to have fun, with no stress or pressure to produce the perfect art piece. 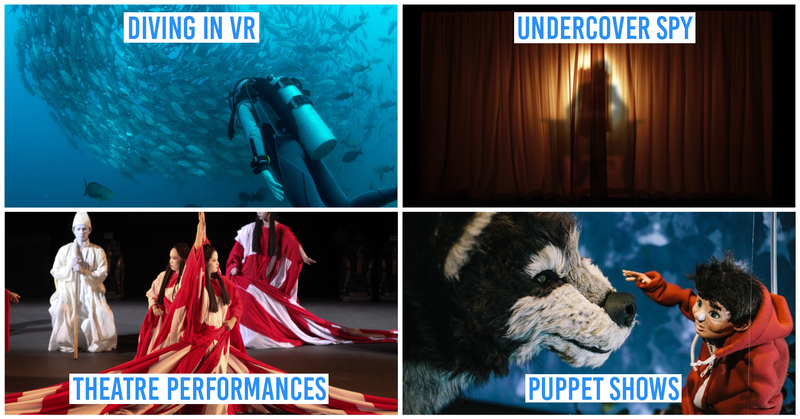 And with these places all providing proper supplies, all you have to do is make a booking, show up, and get creative!